Magnification Loupes allow us to bring the state of your dental health into greater focus so that we can see details that would be missed by the naked eye. What this means for us as dental practitioners is that we can make more accurate assessments. What it means for every patient is that we spend our time carefully performing dental procedures and work with greater accuracy. 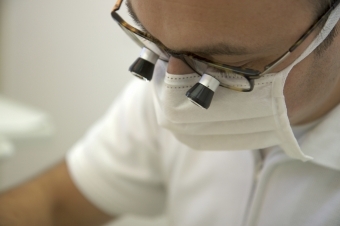 This allows us to spend our time performing dental procedures with accuracy and efficiency. Therefore, allowing us to provide you with our best work. By staying focused and efficient, this gives us more time to answer any questions or concerns you may have at your appointment.